MYAGDI, Aug 28: Malika Village Municipality has introduced a five-year master plan for the development of tourism. The master plan proposes an investment of 75 million rupees for basic infrastructure development of the tourist destinations of Malika as well as plans to study the condition and issues of the destinations to develop their potential. 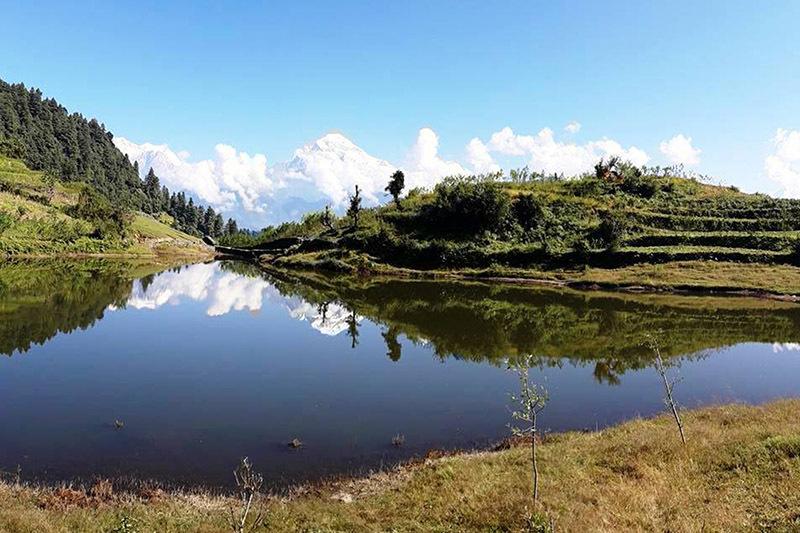 A trekking route has been planned from Pachai in Beni Municipality through Mangala, Todke, Bim Baraha, Niskot Barah, Soledanda, and Devtabhir amongst other places. Ruum, Bim, Devisthan, and Niskot have been planned destinations for homestay villages. A team of tourism experts prepared the master plan by visiting the sites and discussing with the interest groups as well.